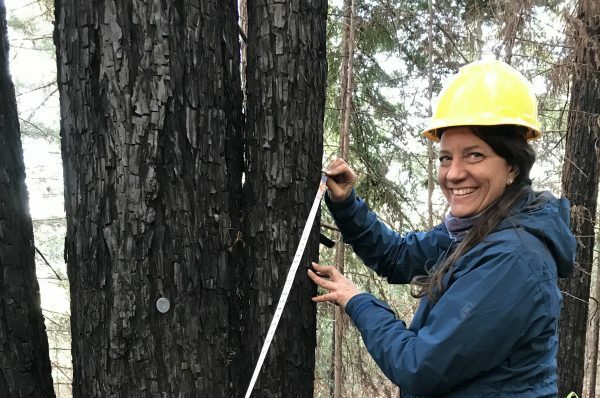 This spring, Sasha was one of three Santa Rosa Junior College students who completed a three month Conservation Biology Internship at Pepperwood. 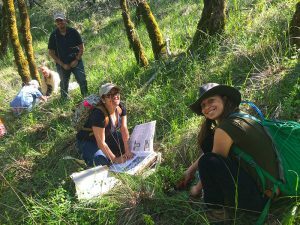 Interns fulfilled a critical need to assist with curating, maintaining and managing our digital biodiversity data that is used to inform conservation practices in Sonoma County and the Bay Area. In turn, interns gained real-world experience working in the natural sciences. Read about Sasha’s experience below! Please introduce yourself, your school and path of study, and explain what led you to become an intern at Pepperwood. 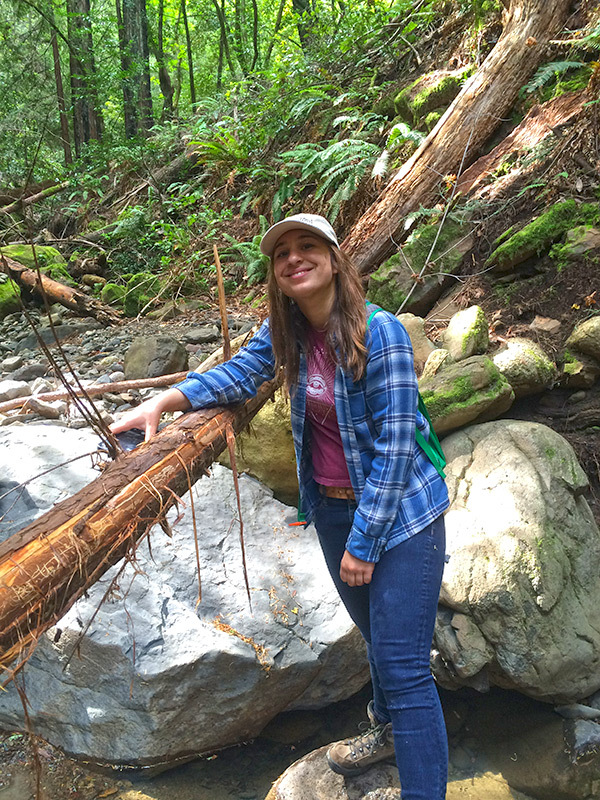 My name is Sasha Ruschmeyer and I am a Conservation Biology major at Santa Rosa Junior College. I happened upon this internship randomly— I was in the MESA center studying for an exam when I saw poster advertising a conservation biology internship Pepperwood and decided to apply. As a life long resident of Sonoma County I have always been inspired and driven by the beauty and the biodiversity of our county’s landscape to study the environment in a broad sense, but it was hard to know what direction to go in or what career I could see myself doing. I applied to work at Pepperwood hoping to gain clarity and experience and to learn more about what makes Sonoma County so biologically unique. The main focus of our internship was image cataloging for the Wildlife Picture Index. Pepperwood has a grid of cameras set up throughout the preserve that are motion censored so that every time an animal walks by a set of three photos is taken. My job is sorting through these images and cataloging them based on what animal or animals are in the photo and listing how many there are. This database will give biologists, and other scientists a clear evidence based idea of the diversity of wildlife here in Sonoma County. Besides WPI cataloging I have been privileged to help with the Steven J. Barnhart Herbarium project. I went on a few plant collecting excursions, and helped catalog preexisting herbaria specimen into a computer database. I had the opportunity to learn about the importance of wildlife monitoring as an indicator of environmental health and change. 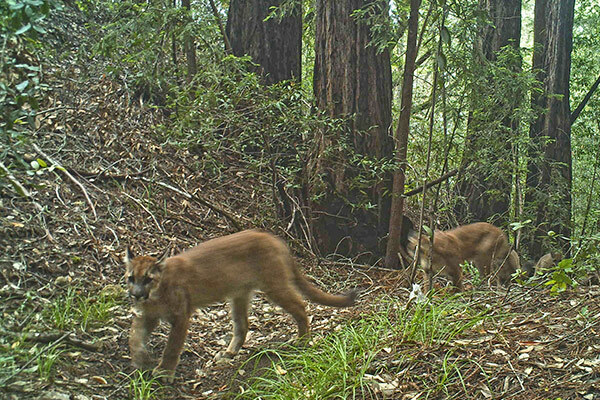 The sheer number of images as well as the vast number of species shows how important the Mayacamas Mountains are to this area. I also attended an herbarium training in order to learn more about the process of identifying, collecting, and pressing plant species. However, by far the most rewarding part of my experience at Pepperwood has been the teachers and the mentors I have gotten to collaborate with. The lessons they have taught me have been integral in helping to shape my understanding of the stewardship necessary to have a positive impact on our planet. What have you gained from your experience at Pepperwood? My experience at Pepperwood has been insightful and fun, but what has stuck with me the most is a clear picture of what true conservation efforts entail. Pepperwood is truly an invaluable model of how our open spaces should be managed. The preserve acts as the catalyst for joining our community to the land we so heavily depend on and I am so thankful to have been shown what a healthy relationship with the land looks like. Land conservation is more than doing a restoration project and hoping for the best, it’s about looking at an ecosystem in a larger perspective and asking what we can do to help it function more efficiently and effectively. Land conservation in the 21st century must operate not only to conserve, preserve and restore our natural resources but conserve, preserve and restore our relationship to the places we live. Having the opportunity to work in such an amazing place along side dynamic models and mentors shaped my understanding and my commitment to land preservation. 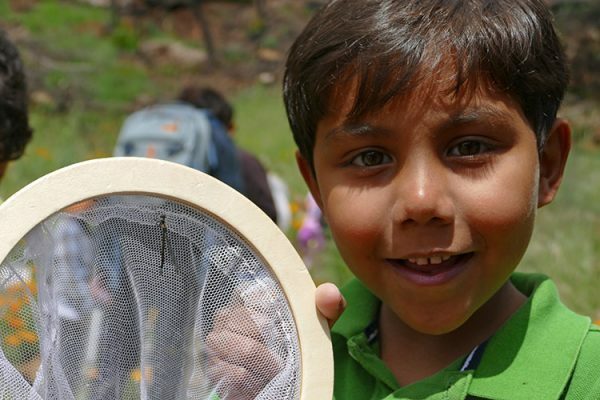 Working at Pepperwood has inspired me to focus my education on conservation biology in hopes I can help connect our community to the land we so often take for granted. Help provide empowering, hands-on internship experiences at Pepperwood to local students by making a tax-deductible gift today! Click here to donate.